BOOM! Studios is thrilled to announce FENCE, an all-new original comic book series debuting in November from bestselling novelist C.S. Pacat (Captive Prince) and popular online sensation Johanna The Mad. Launching from the BOOM! 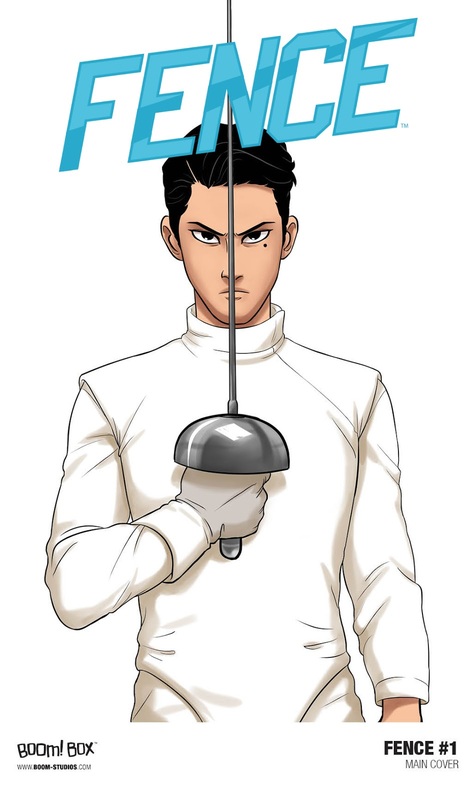 Box imprint, FENCE brings together the worlds of teen soap opera with the adrenaline rush of competitive fencing, an exciting journey of self-discovery that challenges readers with one simple phrase:En garde! FENCE marks the comics debut of both C.S Pacat and Johanna The Mad, whose individual work have amassed devoted fan followings. Pacat’s bestselling book series, Captive Prince, began its life as an original-fiction web serial that went viral, attracting the attention of publisher Penguin Random House. Johanna The Mad is a fan-favorite artist who has gained widespread popularity for her sketches, illustrations, and handmade items. 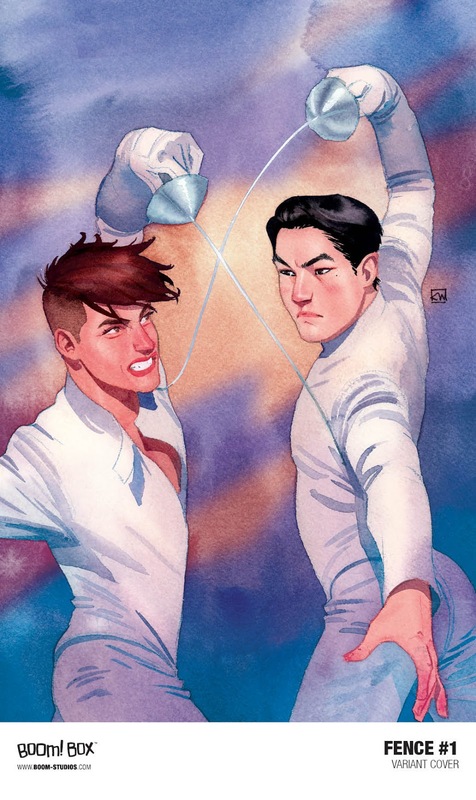 FENCE #1 launches with two open-to-order covers, one by Johanna The Mad and another by superstar artist Kevin Wada (Scarlet Witch). The series will be colored by Rebecca Nalty. 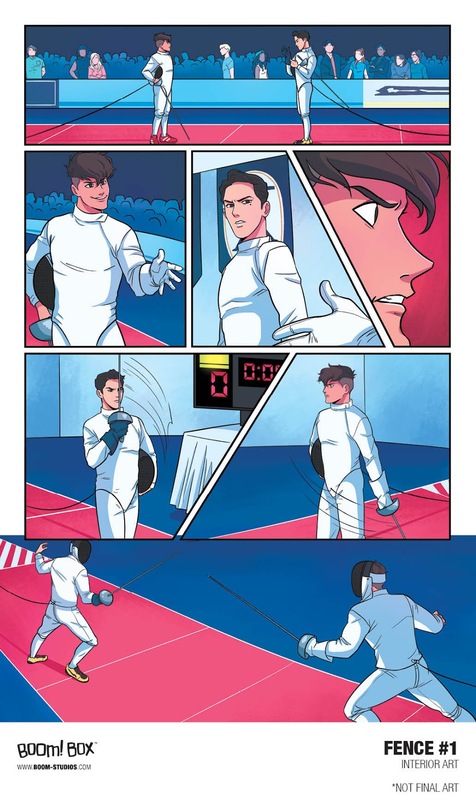 "Teen drama, pretty people, self-discovery, and the thrill of competitive sports?FENCE is everything I love in one comic," says Dafna Pleban, BOOM! Studios editor. “C.S Pacat and Johanna The Mad have created a truly special comic we can't wait for people to read." Print copies of FENCE #1 will be available for sale at local comic book shops (use comicshoplocator.com to find the nearest one) or at the BOOM! Webstore in November. Digital copies will be available to purchase on digital book marketplaces, including ComiXology, iBooks, Google Books, and the BOOM! Studios app. FENCE is the latest release from BOOM! Studios’ critically acclaimed BOOM! Box imprint, home to popular original series such as Lumberjanes by Shannon Watters, Grace Ellis, Brooklyn A. Allen, and Noelle Stevenson; Giant Days by John Allison, Lissa Treiman, and Max Sarin; The Backstagers by James Tynion IV and Rian Sygh; SLAM! by Pamela Ribon and Veronica Fish; and Goldie Vance by Hope Larson and Brittney Williams.